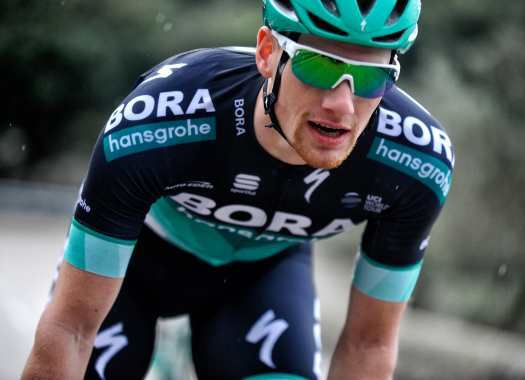 Bora-hansgrohe's Sam Bennett took his chances at the end of the 12th stage of the Giro d'Italia and managed to take his second victory in the 2018 edition of the race. Bennett attacked from a long distance in the final meters of the stage and seemed to be stronger than everyone else. "I think it's mainly due to the guys that looked after me, they really kept me protected all day and they worked really well for me," said the rider to Italian broadcaster RAI at the end of the stage. "They controlled the race at the start, along with other teams and in the final two of them went ahead. They ran out of energy because they worked so hard and I couldn't let them down." The sprint of Bennett was long and strong but the Irishman started it without knowing how far away the finish line was. "To be honest I thought the line was closer, I didn't mean to go that soon. But I couldn't let another stage get away from me like the last time and the guys had worked so hard. I had to commit fully," he explained. "I just went first and I looked back when I saw how far the finish line was. I didn't know if I could make it but I saw the distance and that kept me going."